Jammu: The Army on Wednesday said it does "not communalise martyrs", slamming Hyderabad MP Asaduddin Owaisi for his comments on soldiers killed in the Sunjuwan terror attack. 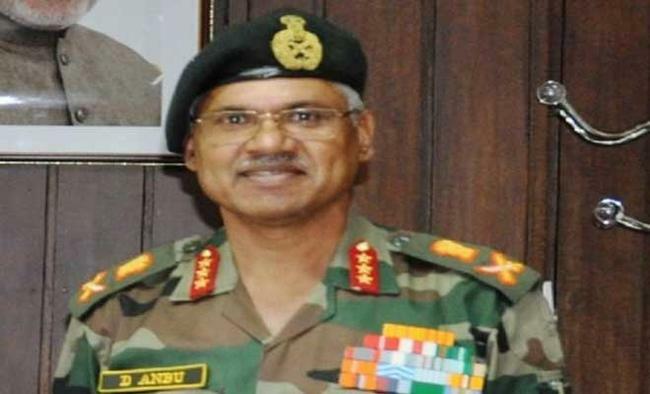 "We do not communalise martyrs, those making statements don't know the Army well," General Officer Commanding-in-Chief Northern Command Lt. Gen. Devraj Anbu told reporters. He, however, did not name the Majlis-e-Ittehadul Muslimeen Lok Sabha member who on Tuesday asked why those questioning the patriotism of Muslims were silent over the deaths of Muslim soldiers in the Sunjuwan army camp terror attack.The officer said the youth joining militant ranks in the Kashmir Valley continued to be a matter of concern.He said the social media had been used extensively to spread separatist sentiment among the youth. "It is time those who join militant ranks and those who support them understand that it benefits nobody and only brings hardships into the lives of the common man," he said.He said identifying the terror leadership and eliminating them continued to be the force's priority as far as tackling terrorism was concerned. "The enemy is frustrated and is trying to strike softer targets. When they fail at borders they attack camps." The army commander said Jaish-e-Muhammad (JeM), Lashkar-e-Taiba (LeT) and the Hizbul Mujahideen (HM) were operating together whether in the valley or elsewhere in the state. "There is no differentiation. They keep jumping from one outfit to the other. Anyone who picks up arms and is against the state is a terrorist, and we will deal with him," he said.